Another review! 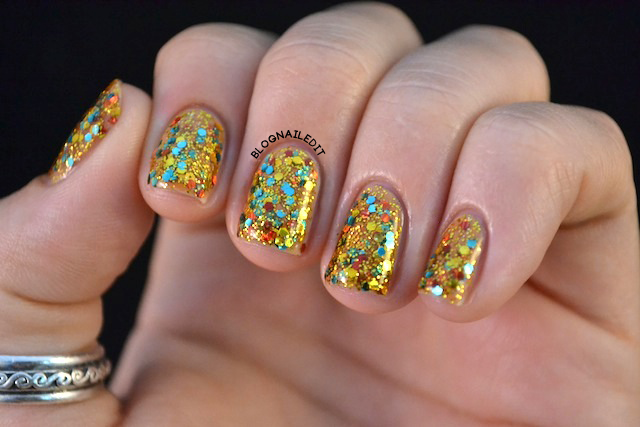 This one's a swatch or two of a pretty pretty gold glitter polish. The polish comes from Born Pretty and is simply called Gold Color Glitter. 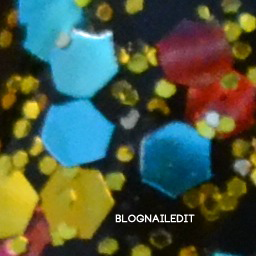 There are two sizes of glitter, the larger of which is hexagonal shaped. These larger pieces are gold, teal, and red/orange/pink. I can't quite figure out which color that last one is, as it seems to change depending on the angle. It comes across most commonly as red. There are smaller pieces which are just gold, and those just seem to be circular. The bottle it comes in looks almost exactly like an OPI bottle, and the brush is pretty close as well. The swatch above is three layers over a bare nail. Doesn't it look great? You can see that the base it's in isn't totally clear, but somewhat gold, with out the shimmer. Would you believe that the swatch below is over a white (Marshmallow from Essie)? It takes about three or four layers to get complete opacity. It also looks awesome layered underneath as a jelly sandwich (again, with Marshmallow). Probably my favorite layering combo I tried was over black (Black Creme Wet n' Wild). You can pick up the glitter polish here for about $5.00, and like all Born Pretty products, shipping is free! Want to bring the price down even further? Use my coupon code C10X31 for 10% off your order. 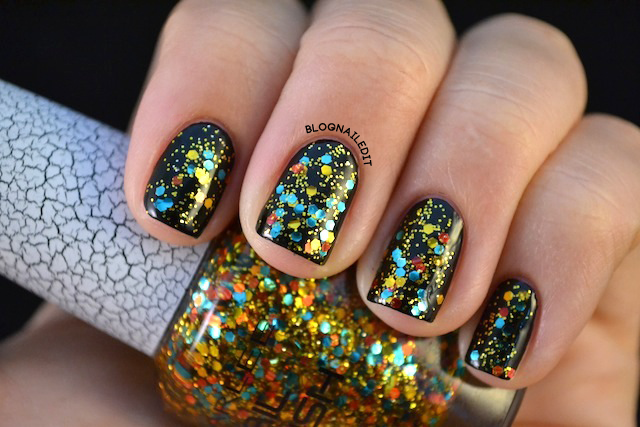 Lovely glitter! I love all the different combinations you did! Love the jelly sandwich, and layered over black!! This is such a pretty glitter! I love it! 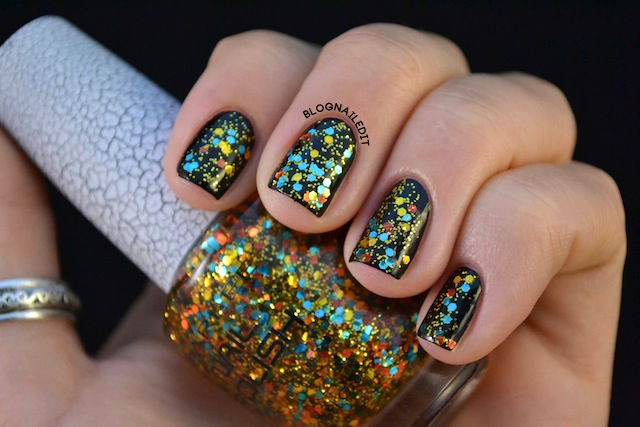 This is dupe for Kleancolor's "Firework" polish, totally gorgeous!! I love it over the gold!